Professionals’ Choice Automotive Parts Associates Inc. Las Vegas Adrenaline Weekend returns for 2018. 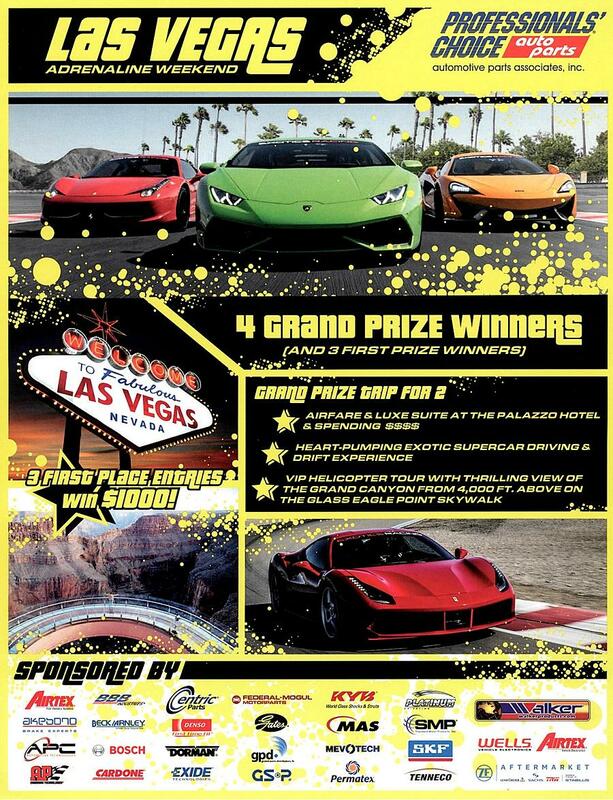 The grand prize is a trip for two to Las Vegas, featuring airfare and a luxury suite at the Palazzo Hotel with spending money, a high-performance car driving and drift experience at Las Vegas Speedway, and a helicopter tour to the Grand Canyon. There will be four grand prize winners and three second-place winners who will receive a cash prize of $1,000 each. Ballots are available in store.